Each quarter in our newsletter we feature one of our clients with a focus on their business - what they do and where they are (it may surprise some people to know that we have clients all around the country!). Each of these clients is now also featured on our website; simply follow the links below to find out what new and exciting things our clients are up to! What services/products does your business provide? 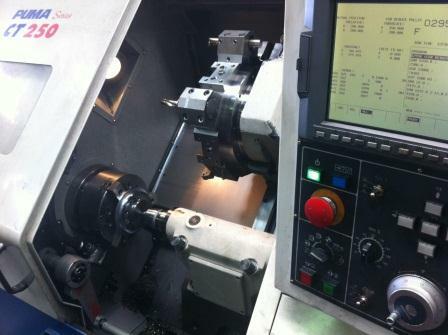 Arrow Engineering is a jobbing machine shop, that provides precision machining and fabrication to customers drawings or sketches, We also help our customers by advising them on designs and help to manufacture machines to meet their needs. If it fits on a pallet we can make it! Our Roof Tile Division manufactures new and spares for concrete roof tile manufacturing machines for the like of CSR, Boral and Bristile. We have just purchased Air Valve Engineering who manufacture NFPA Hydraulic and Pneumatic cylinders. These cylinders directly replace any equivalent NFPA cylinders including Eaton / Vickers and Parker. Just send us the part number on your current Cylinder and we can manufacture an identical cylinder. 100% Australian made. What is your niche or speciality? Fast turn around precision engineering. We do the jobs that others are scared to do. What industries do you sell/provide services to? Everyone from Pharmaceutical companies, the local diesel mechanic, Lysaght steel mill to more specialised engineering companies making mining equipment. Where do you operate? 120 Fairbank Road Clayton South, Victoria 3196, however we ship all around Australia. Drop us a line on (03) 9551 4371 to see how we can help you, or email us at info@arrowengineering.net.au. How long has your business been operating? The business has been running for over 40 years, however I purchased it in March 2011. How long have you been a Kilara Customer? My name is probably a give away to some people but my Uncle Peter worked there for "many years", so I've been around Kilara since I was a kid. I got my first job after Uni in 1996 and this was the first time I had a tax problem and I've been a customer ever since. Which Kilara Services do you use? How have these services benefited your business? Added surety in the financial direction of the company. Gives me a framework to apply with confidence. Lets me know that if there is a problem my family will be ok.
What sports do you play? Golf once per week work permitting, and water-skiing on the Murray in the summer. What makes you laugh? It's a bit of a cliché but my kids make me laugh everyday. Where will you be in 5 years... Running my business at a strategic rather than daily level. What is your outlook of the world we live in? Optimistic, all you have to do is not watch the news or read a newspaper and the world is a pretty good place to live. The material and contents provided in this article are informative in nature only. It is not intended to be advice and you should not act specifically on the basis of this information alone. If expert assistance is required, professional advice should be obtained. Any opinions stated are those of the writer and are not necessarily held by Kilara Group or any of its employees.